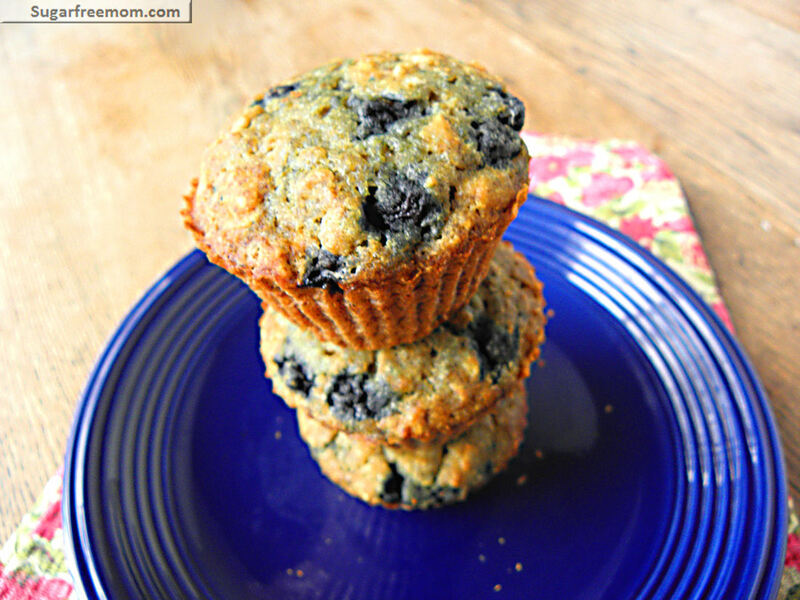 There’s just something comforting about muffins. The smell of them baking in your home on any given morning will arise the sleepiest of sleepers. There’s also something about oatmeal that makes you feel good all over after you’ve enjoyed a nice bowl topped with some fresh berries and honey! 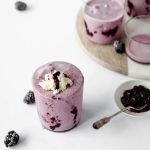 Mix the two together and you have a fabulous healthy comforting breakfast for you and your family. 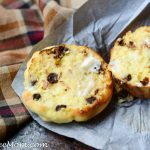 You can enjoy these warm right out of the oven topped here with some delicious creamy coconut milk and more berries, enjoy with a fork of course! Or top with some cream cheese and it resembles a cupcake doesn’t it? 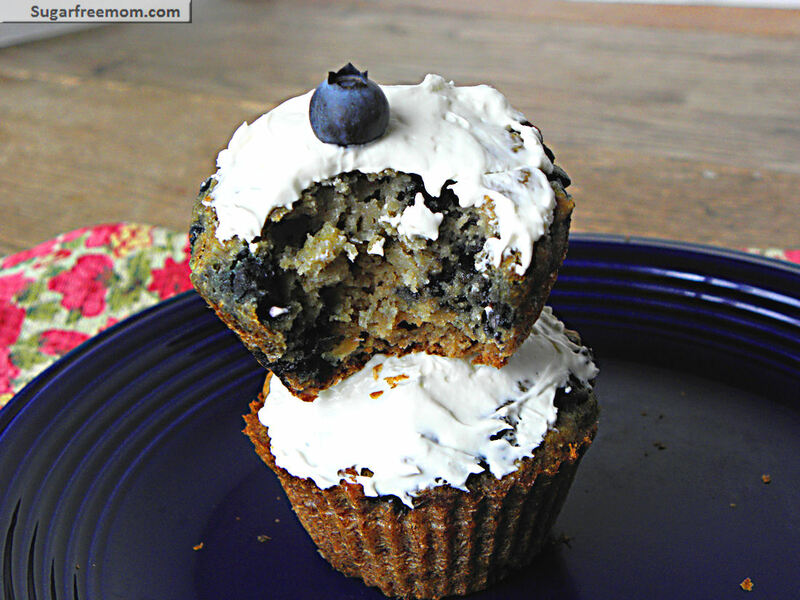 Well, it could certainly pass for one although not as sweet as a typical cupcake, but it would work for a healthy afternoon snack for the kids! I used silicone cupcake liners and did not spray them with nonstick cooking spray. They easily popped right out without sticking! These are by far the best muffin I think I’ve ever made. 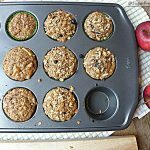 I adapted them from my apple oatmeal muffins, which most of my muffins and baked goods are using whole wheat pastry flour. 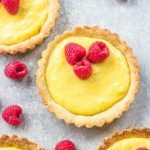 I believe I have a wheat allergy so I’m removing wheat for a time and this is one of my newest gluten free recipes and oh boy are they incredible!!! Moist, moist, moist and the texture is just perfect! Also want to share that my hubby is quite the skeptic of stevia and is quite picky if he notices any aftertaste at all. 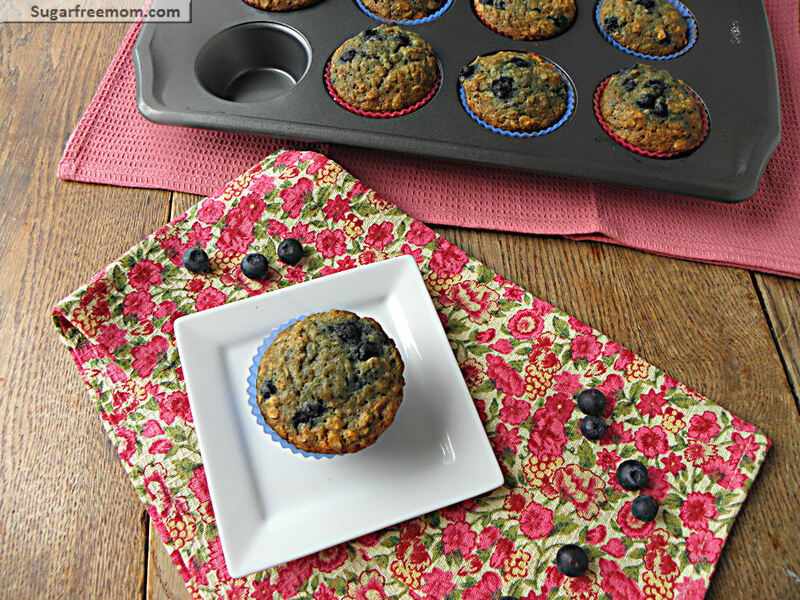 He and the children devoured these muffins! The hubby specifically told me there is absolutely no aftertaste from the stevia, which he is always surprised by, LOL! In a bowl stir together the oats, flour, cinnamon, salt, baking soda and powder, stevia. Pour in the eggs, applesauce, butter, milk, and vanilla. Add some chopped nuts if desired. I can’t wait to try these!! My dad is diabetic and my daughter is gluten intolerant. So far, I can make something gluten free OR sugar free, but I haven’t had success with gluten free AND sugar free. Thanks! Let me know how they like them! Looks great! I’ll have to wait a week or so until I run out of individual baked oatmeal I just made. Stevia is pretty much the only alternative sugar that I really enjoy. 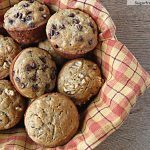 I use it in my coffee every morning and can’t even tell – so I’m sure I would absolutely love these muffins! 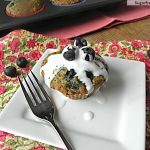 I love blueberry muffins and would love to try this recipie! 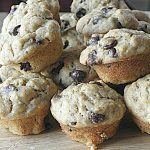 I am curious if it would be possible to use regular oats, flour, baking powder, baking soda, and vanilla. Would that change the chemistry of the baking or do you think it would turn out ok? These look great! Love the gluten free recipes since my mom has discovered that wheat really aggrivates her. Mmmmm! Just made these and had a warm one from the oven…yummy! So moist! You definately can’t tell they are sugar or gluten free! Do you have a cookbook published? Can you tell me how much liquid stevia I would use. I don’t have any powder. Can’t wait to try them, they look amazing! Since it is only my husband and I 12 muffins is a lot. Can you freeze these? oh yes! Then the night before you want them just thaw overnight. 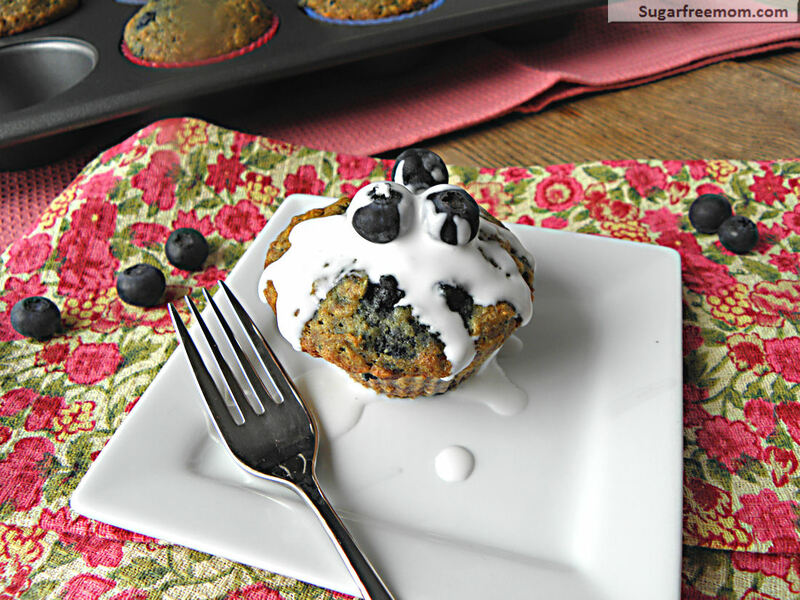 I have been trying out Xylitol in my baked goods. Any ideas on how much of it to use instead of Stevia? Xylitol is usually an even or equal replacement for regular sugar. Sorry I don’t use it. Is there anything you could substitute for the oats? I’d like to make these grain-free but the oats part is the only thing that has me baffled. They look amazing! 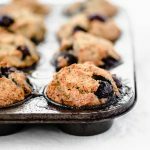 right these are not low carb, just gluten free and sugar free, but lower in carb than many other muffins made with sugar. 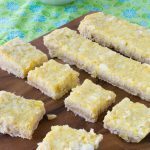 I’ve been making these for a few weeks now (my new addictive snack!) with olive oil and soy milk and they taste great! When I run out of my frozen berries mix I’m going to try them with cranberries – do you think I should increase the stevia in that case because the cranberries are more tart? 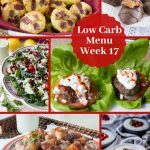 Hi, I have recently gone sugar free and this recipe looks wonderful. However, I would like to make them without the stevia, or any other sweetener for that matter. Have you tried them without it? That’s wonderful! I’m so happy you’re enjoying them! these are delicious! to make them lactose-free as well i subbed coconut milk and coconut oil for the milk and butter and they came out perfect. thanks so much for a great recipe — easy too! That’s wonderful to know, thank you for sharing! Thanks for the suggestions. I will try it your the first time I make it. OMG these are amazing!! I used unsweetened almond/coconut milk, coconut oil and bc I didn’t have stevia (not a fan) I just did 1/2c applesauce and 1/2c apple butter and they turned out just Devine!! Only had raspberries but can’t wait to try with blueberries next:). Thanks so much!! What can I substitute in place of the applesauce? Thank you! They’re good! And I feel pretty guilt free eating them and giving them to my 3 year old. Much lower in sugar than normal muffins but very tasty. I used 2 T maple syrup instead of Stevia, might be greedy and add more next time! 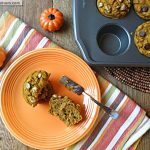 – my son & hubby loved them as-is – gobbled up 2 and wanted more. I will be making these for my friend for a Christmas present because he has been sugar-intolerant since his weight loss surgery. Also, he’s on Atkins so he can’t have wheat-flour-containing foods. I am glad to see that you are using Stevia over aspartame or sucralose (nasty chemical sh!Tstorm lol). I will come back here and let you know the results (about a month from now). P.S. I see that you recommend Simply Organic vanilla. While it’s probably top-shelf quality, there’s huge 16oz bottles of natural, non-imitation pure vanilla extract available for only ~$6. I get mine from Woodmens in Green Bay, WI or Appleton, WI, which is two hours away from me. It’s so much better than paying big $ for McCormick’s. It lasts a super long time. Can you use honey/maple syrup instead of stevia? How much? I just put these in the oven. changed it up just a bit. Can’t use sweetners so used raw honey instead. also put 1/2 blueberries and 1/2 strawberries. and added almonds. made bars instead of muffins. hope I didn’t change them too much. batter looks great and they smell awesome. have been gf for only two months so pretty new at it. thanks for the recipe. will post how they turn out. I don’t gave any stevia on hand so was going to use honey as well. How much did you add in? Do you cook the rolled oats first? No, just add them in dry. The batter is a bit runny but when I make them but once baked they are never gooey in the center and I’ve not needed xanthan gum each time I made them. What type of gluten free flour did you use? I make my own combination due to the multiple allergies of my 3 grandchildren. The combination is 20% sorghum flour, 20% teff flour, 30% tapioca flour, 30% rice flour. Three are allergic to corn and and one to potatoes so corn starch, potato flour or starch is out of the question. They are allergic to dairy as well so I just remembered I substituted extra light olive oil instead of butter. It is such a challenge baking for them so if there is anyway to make this work, I’d be forever grateful. Thanks for taking the time to respond. Did you leave out the rolled oats? If not and you used just one cup of your flour I would think it might not be dense enough for the amount of applesauce I used with the King Arthur flour which has a substantial amount of potato starch. I would personally increase the sorghum and reduce the teff and I would reduce the applesauce by 1/2 a cup. Hope that helps! I did add the rolled oats as in the recipe. I may try adding a bit of arrowroot flour to the flour mixture. I will try reducing the applesauce as you suggested. I will try these again with the modifications and I’ll let you know how they turn out. Thank you so much for responding and for the additional information. 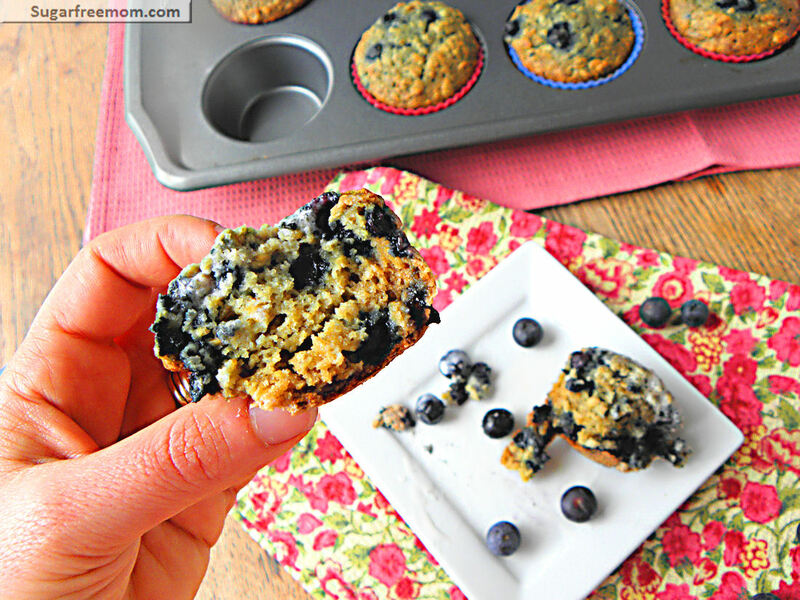 I made these this afternoon and they are delish! I used wholemeal [not gluten free] flour, and no stevia because I don’t like it. Still super sweet and moist. Oh I used regular rolled oats and baking soda/powder too. Thanks for a great recipe! Wow! Thank you so much for all your recipes, Brenda! I have recently made some drastic changes in my diet and have only just today discovered your site. My first batch of muffins just came out of the oven and I couldn’t wait to try one. These are outstanding! Just what I have been looking for. Your hard work is very much appreciated by so many. Keep up the great work! Hi, I have recently been told to cut down on oils and butter. Is there a substitution you can think of that I could use instead of butter that is not oil? I’ve heard you might be able to some some fat with applesauce. Mine turned out gooey too even though I left them in 5 min longer. The only change I made was the eggs and I used the flaxseed substitute with 2 tbsp of flaxseed and 6 tablesspoons of water. Was it because I didn’t grind the flax to flax meal. They also wouldn’t come out of the paper cups – maybe not enough spray but I did spray them. I’ll try them again when I hear back. Can’t have eggs. I used gluten free oats and 1d cup of oatmeal flour.